I am a happily married mother of three hooligans. They tend to be well-behaved, but there are long stretches of craziness between the periods of quiet. I grew up around the northern Midwest USA and areas farther east. I am a country girl who has adapted to town living, but big cities intimidate me. I love the color green, reading, and watching movies (especially costume dramas from BBC). I’m with you on the costume dramas on BBC. I’m so addicted to Downton Abby I can hardly wait for the new season! When and why did you begin writing? I began writing in my teens, considered it a hobby in my college years, and began dreaming of making it a career in my twenties. The act of storytelling helps the creative side of myself cope with the uncreative aspects of life. It keeps me feeling intelligent, adult, smart, and sane after conversing with toddlers and a kindergartener all day. 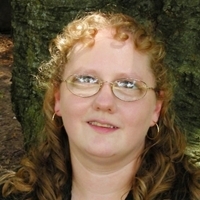 Non-magical fantasy and speculative fiction in the far past or the far future tend to my comfort zones. Readers will almost always find a strong romantic current through the core of my stories. What’s your process? Seat of pantser, well-devised outliner? I live in the spaces between pantser and plotter. I plot vaguely. At any given point, I have general ending ideas, a clear beginning, a ton of short term goals and ideas to shoot for. But when I am writing, I let my characters personalities, motivations, and inclinations loose and I follow along. Are there other writers that inspire you? Your work? I grew up on fairytales and fantasy fiction, with a heavy dose of history. Favorite authors from my teens constantly inspire me, but history is my most consistent inspiration. At the moment, I think “Duty: a novel of Rhynan” is my favorite. The characters already pulled me back into a sequel. I loved the writing process with that one. I went through withdrawal when I finished and had to put it down. We know that feeling—like losing a friend. Where does your character inspiration come from? People around me, experiences, and just playing around with characters until they sound true all play a part. The process tends to be organic for me. Not being able to offer an intelligent answer to one of my reader’s questions was my worst experience to date. The asker caught me off guard, and I had one of those moments when my mind went completely blank. Afterwards I thought of five or six witty responses, but of course, the moment had passed. That’s one of my worst fears as a writer. Share the best/worst writing advice you ever got. One of the best tidbits wasn’t even about writing. Someone pointed out to me that if something is important to you, you will make time for it. The worst? Someone told me in order to write a great book, you must plot it out first. If I plot a book out first, I lose interest. The writing process becomes boring because I already know everything that happens. I write the book for me first and I need that mystery, the challenge of the unknown. If the book entertains me, then it has a chance with readers. We pantsers tremble at that advice. Tell us about your latest work. 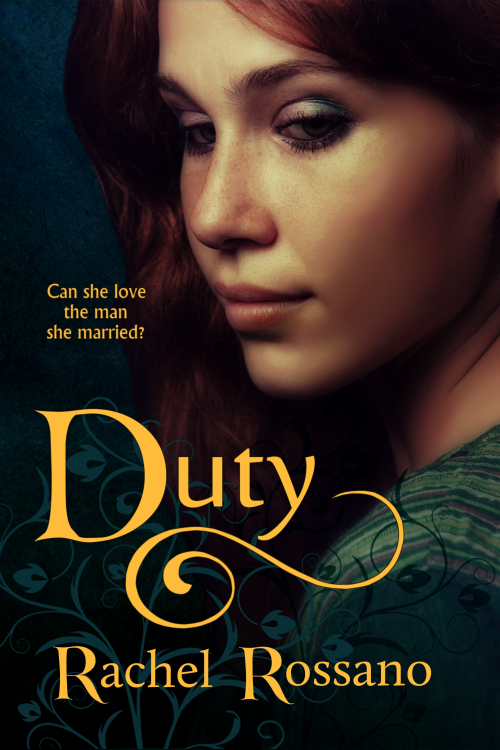 “Duty: a novel of Rhynan” is a romantic adventure tale set in a non-magical fantasy world. Brielle, the heroine, faces overwhelming circumstances as the unofficial leader of a small village of mostly women and children on the northeastern border of Rhynan. Winter is coming and the supplies remain pitifully inadequate despite their best efforts. When a band of armed men ride into town bringing news that all the men who left to fight in the war died, the villagers’ prospects grow even worse. Then the armed men’s leader declares Brielle is his wife. Brielle faces a decision, accept the circumstances or fight. I love interacting with readers and hearing about what they like or don’t like about my books. Their feedback goes into the books I write. I am writing the sequel to “Duty: a novel of Rhynan” now because of the requests of readers to read Lord Dentin’s story. I am a bit of an introvert. I am perfectly happy by myself for long periods of time, which is probably a bit of why I love writing so much. Where can readers purchase your other work? Thanks for visiting with us, Rachel. Good luck with “Duty: a novel of Rhynan”.